In many British families, mince pies are a staple at holiday gatherings. Using this Mincmeat Tart recipe, you can get a taste of England without spending hours in the kitchen. 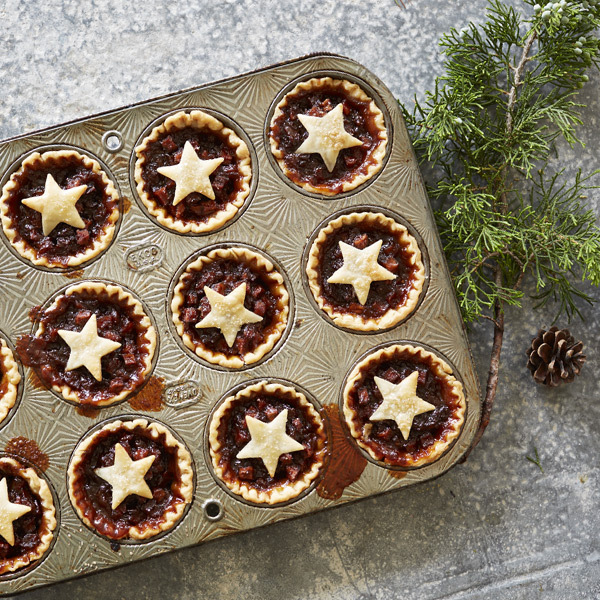 This time-saving variation uses prepared pie crust and prepared mincemeat to create dainty tarts. Everyone will fancy a taste. Combine mincemeat and lemon peel, and mix well. On a lightly floured surface, roll out piecrust to ⅛-inch thickness. Cut into 4-inch rounds. Set aside scraps. Press rounds into the bottom and up sides of muffin cups to make the tart shells. Fill ⅔ of each muffin cup with mincemeat. Roll out piecrust scraps and cut into star shapes or strips. Place atop tarts in a pretty design. Bake 20 to 25 minutes until lightly browned. Let cool, and then remove from pan.